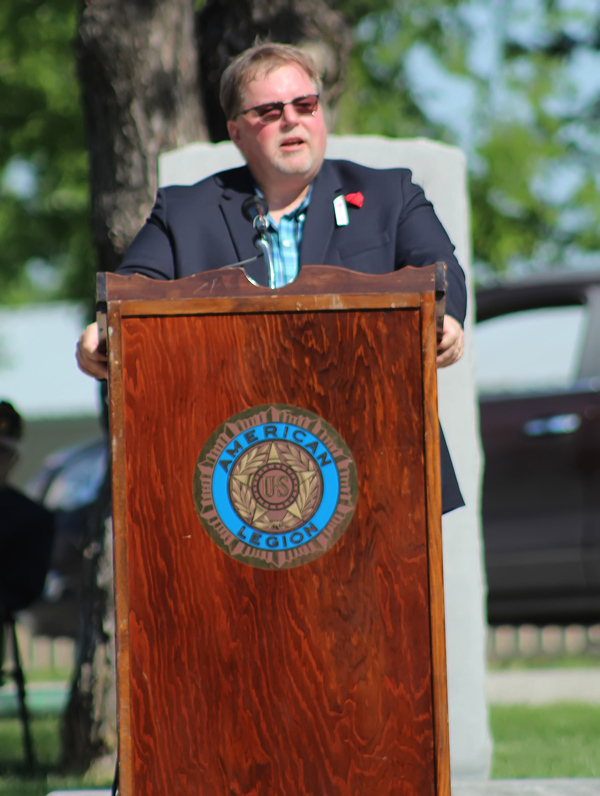 Hillsboro Mayor Lou Thurston was the guest speaker at the Memorial Day gathering Monday in Memorial Park. Bright skies and warm temperatures greeted those who came to Memorial Park to honor military veterans, past and present, who served and sacrificed to keep the United States a free nation. Mayor Lou Thurston, the guest speaker, reminded those who listened why Memorial Day remembrance is important. “We are here today to honor our heroes, to remember their achievements, their courage and their dedication, and to say thank-you for their sacrifice,” he said. Thurston noted that the United States has been at war now for the longest time in its history. Thurston said members of the armed services put themselves at risk for others because “they understand that freedom is not free. Freedom requires courage, pride, determination, selflessness, integrity and dedication to duty. They have a love for this country and for their comrades that surpasses the understanding of those of who haven’t served. “It’s easy for the rest of us to go about our daily lives and not have to worry about being shot, or blown apart by an (improvised explosive device). Most of us don’t have to make sacrifices today for the war effort, like our parents and grandparents did during World War 2. We live our lives in relative comfort and safety.